If simplicity is your choice of lifestyle, then Furinno Kansas Dining Table is sure to catch your fancy. 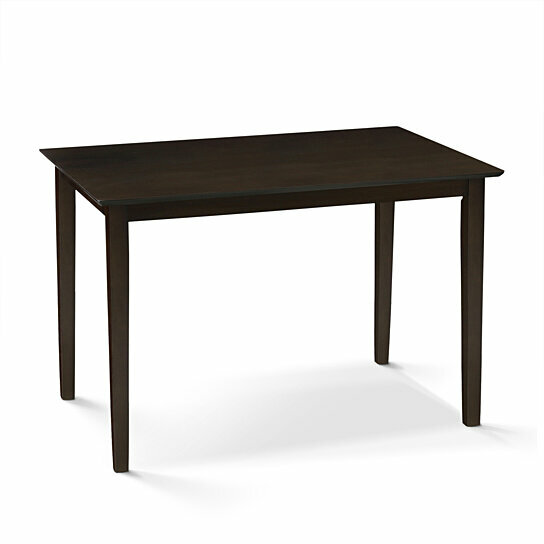 Simply stylish rectangle table is a smart solution for variety of setting and provides dark cappuccino finish. FKKS005T1 is easy to assemble and they all come with step-by-step assembly instruction. The contemporary design will blend into any home; the perfect addition to any living space. A simple attitude towards lifestyle is reflected directly on the design of FURINNO furniture, creating a trend of simply nature. Care instructions: wipe clean with clean damped cloth. Avoid using harsh chemicals. Pictures are for illustration purpose. All decor items are not included in.